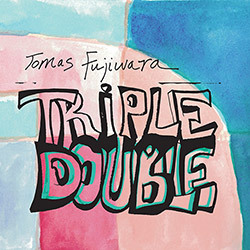 A great example of Downtown New York modern improvisation that takes unexpected twists and turns, from the collective quartet of bassist Brandon Lopez, a frequent collaborator with Nate Wooley and Ivo Perelman, tenor saxophonist Matt Nelson ( tUnE-yArDs), vibraphonist Andria Nicodemou (Thread Ensemble, Taylor Ho Bynum), and Gerald Cleaver (Veil of Names, Uncle June, &c). 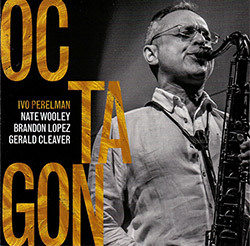 The second release pairing Brazilian-born, New York-based saxophonist Ivo Perelman with trumpeter Nate Wooley, in a quartet with bassist Brandon Lopez and drummer Gerald Cleaver, a frequent hard bop configuration, here in an 8 part set of studio recordings that range from exultant and vigorous group interplay to pointillist interaction, a superb album of creative modern jazz. 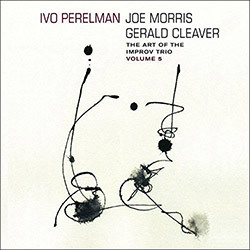 The fifth volume in Ivo Perlman's series exploring free improvising trios in various configurations brings together the tenor saxophonist with guitarist Joe Morris and drummer Gerald Cleaver for an exemplary album of modern, creative jazz. 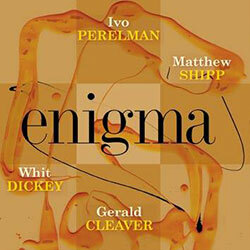 The 3rd part of NY/Brazilian saxophonist Ivo Perelman's "Art of the Improv Trio" series, with Matthew Shipp on piano and Gerald Cleaver on drums, each an essential element in the interplay and subtle skills of these masterful players, with Perelman's voice exceptionally strong as he demonstrates the full range of his sax through free and melodic passage. 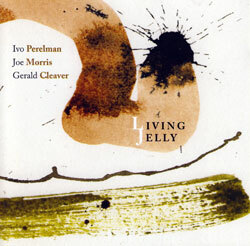 The 6th and final volume of tenor saxophonist Ivo Perelman's ambitious series exploring modern free improvisation in a variety of trio setting with differing players and configurations, here with Joe Morris on bass and Gerald Cleaver on drums in an extended and masterful 2-part recording that runs the gamut of lyrical and burning free jazz. 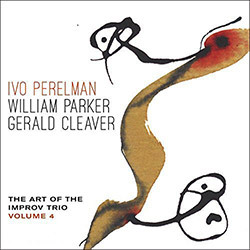 The 4th volume in Brazilian/New York saxophonist Ivo Perelman's exemplary 6-part series "The Art of the Improv Trio" bring together bassist William Parker and drummer Gerald Cleaver for a 3-part set of free improvisation, beautifully flowing dialog of masterful playing. 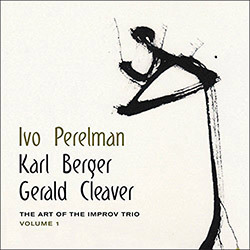 Saxophonist Ivo Perelman is the anchor for the 6 volumes of "The Art of the Improv Trio", here with Karl Berger on piano and Gerald Cleaver on drums in a lyrical album that flows with grace and thoughtfulness, from ballad introspection to uptempo excitement, an impressive start to the series. 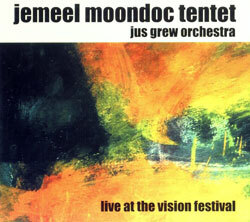 A live performance at Judson Church in Manhattan as part of the 20th Vision Festival from the NY/France free improvising trio of Joelle Leandre on double bass, Mat Maneri on viola, and Gerald Cleaver on drums and percussion, two tracks of steadily building, incredibly compatible dialog. 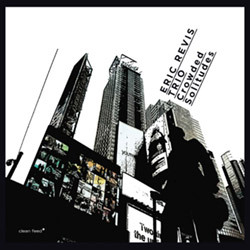 New York bassist Eric Revis' Trio with Kris Davis on piano and Gerald Cleaver taking over the drum position in an album that crosses the traditional piano trio concept with modern free parlance, for both lyrical and unconventionally creative moments. 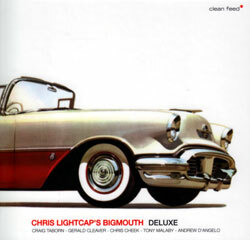 Bassist Chris Lightcap's Bigmouth features 2 saxophonists--Chris Cheek and Tony Malaby, Craig Tabor on keys and Gerald Cleavers on drums, in 8 melodic tracks inspired by landmarks of NYC and influenced by jazz tradition, West African music, pop hooks, and more. 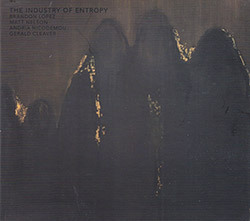 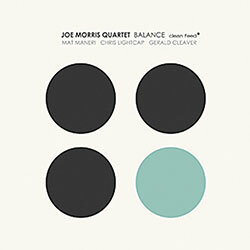 Joe Morris reunites his NY quartet as their last configuration from 2000, with violist Mat Maneri, bassist Chris Lightcap, drummer Gerald Cleaver, and Morris on guitar, bringing us an update on the intently informed collective improvisation that defines this great- band. 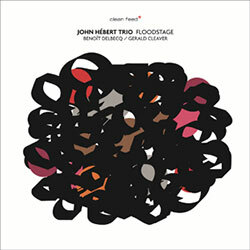 Bassist John Hebert continues to explore his Louisana/Cajun roots with his trio of Benoit Delbecq on piano (plus synth & electronics) and drummer Gerald Cleaver, challenging and enigmatic improvisation with a solid rhythmic center. 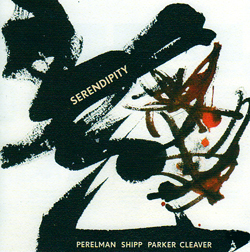 The inquisitive nature of saxophonist Perelman searches for denser forms of expression with pianist Matthew Shipp and two drummers - Whit Dickey and Gerald Cleaver - allowing intense rhythmic playing over which Perelman's expressive voice slurs and shines. 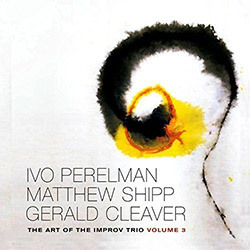 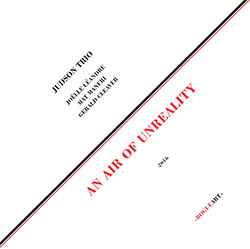 An extended and passionate work from NYC saxophonist Ivo Perelman, recorded at a studio session intended as a trio with drummer Cleaver and pianist Shipp, but from a scheduling mixup, serendipitously evolved into a quartet with the addition of William Parker on bass. 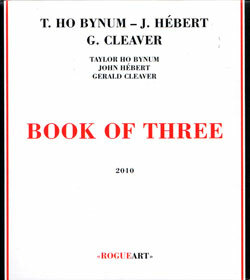 Collective improvisation from Ho Bynum's Book of Three with bassist John Hebert & drummer Gerald Cleaver, following their RogueArt CD with this exceptional album of original compositions plus works from Bobby Bradford, Salim Washington, and Jim Hobbs. 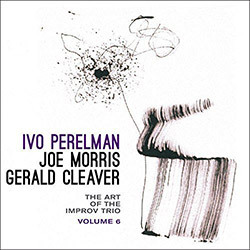 Studio recordings from the trio of Brazilian/NY saxophonist Ivo Perelman, drummer Gerald Cleaver, and Joe Morris on guitar, inventive and interactive improvisation from three of NY's finest players. 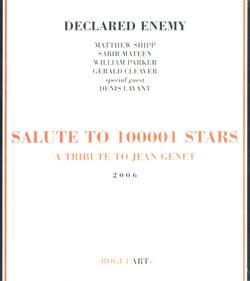 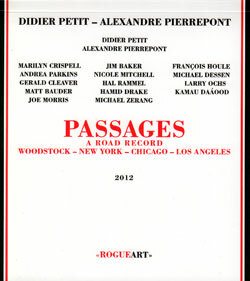 Cellist Petit and poet Pierrepont traveled from East to West Coasts recording with various improvisers who play with Petit while Pierrepont reads one of his poems in French, and then as a non-French speaker reads the same poem. 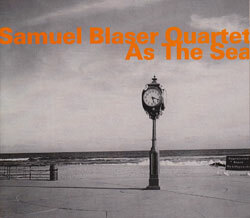 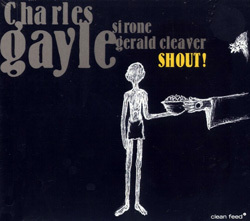 Trombonist Samuel Blaser and his quartet of Marc Ducret (guitar), Banz Oester (double bass), and Gerald Cleaver (drums) perform his 4-part suite live with an ebb-and-flow tempo and intricate dynamics that are reflective of the sea. 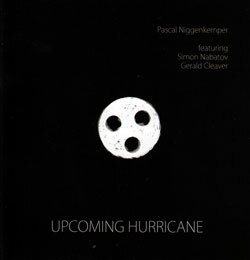 Bassist Pascal Niggenkemper put together this piano trio with veteran pianist Simon Nabatov and drummer Gerald Cleaver, excellent and complex modern jazz from three tremendous players. 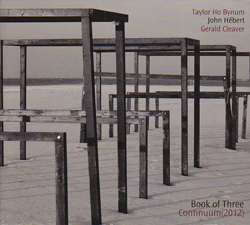 Bynum's trio with bassist John Hebert and drummer Gerald Cleaver, explorative and informed recordings from Firehouse 12, music on the forefront of modern improvisation. 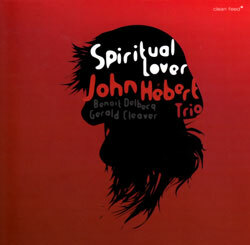 Bassist Hebert's Trio with French pianist and synth player Benoit Delbecq and drummer Gerald Cleaver, expansive and spacious jazz with a beautiful spirituality. 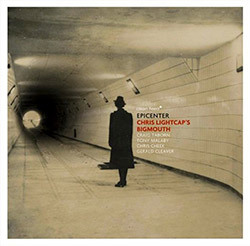 Bassist Lightcap's Bigmouth with Tony Malaby, Chris Cheek & Andrew D'Angelo on sax, Craig Taborn on keys and Gerald Cleaver on drums, NY jazz with remarkable rapport and prowess. 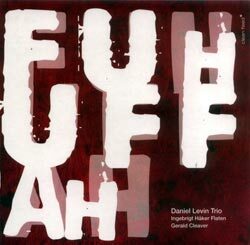 Cellist Daniel Levin's trio with Ingebrigt Haker-Flaten and Gerald Cleaver in a set of original compositions from one of contempory jazz's masters of cello improvisation.